When Parisians shed their heavy winter coats, sometimes you get some surprises. In my case it’s look-away-or-you’ll-be-blinded white legs. And then there are the women whose burgeoning bellies give away what they’ve been up to while hibernating. As soon as the coats go back in the armoire, it’s like the whole city got knocked up overnight. Leave it to Les Parisiennes to flaunt their bumps like they’re the latest fashion accessory. And the men eat it up. I was amazed – make that shocked – that in my last trimester with Big Fry, I literally had cammionneurs hanging out of their truck windows to get a better look at my swollen silhouette. Guess Frenchmen like their women ripe. Pre-maman #1: Skinny maternity jeans, gauzy peasant top, fine-knit slim scarf, cropped light-blue leather bomber jacket, and white peep-toe stiletto pumps. Pre-maman #2: Purple tunic flowing over cropped black leggings, long jet-and-freshwater pearl necklace, Marc Jacobs bag, black patent leather high-heel sandals. Pre-maman #3: Long white silk blouse cinched under the bump with a silver vachette leather belt, lime-green maternity Capri pants, multicolored silk scarf as headband, and silver beaded high-heeled mules. High-heeled mules when you’re “pregnant up to your teeth”, as they say en français? Give me a break! I glanced ruefully down at my comfy ballet flats. (At least they were Repettos!) My only consolation was that these fashionista pre-mamans would soon have spit-up on their suede jackets and diaper leaks on their white Gerard Darel jeans. Love La Mom's adventures in Paris? Get your French fix delivered directly to your inbox every week when you subscribe in the top-right hand corner! De Nile ain’t just a river in Egypt. 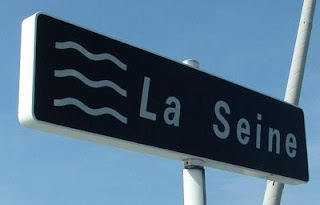 And In Seine ain’t about taking a dip in Paris’ most famous waterway. No, “insane” is the perfect term to describe Katie. She’s a newbie to the expat scene, a milk-fed Wisconsiner with two strapping boys who hasn’t quite managed to ditch her perm, Mom Jeans, and white Reeboks. It’s not just her clothes that get her in trouble. Katie’s got a real problem on her hands – L’Assistante. L’Assistante strikes fear into the hearts of all expat moms. She’s the one who manages access to your husband when he’s at the office. They’re practically glued to the hip. And Katie’s convinced that they’re glued to the lip. Katie: I don’t know – Bob’s been putting in some really late nights at the office. And he travels all the time. California Mom: What, do you think he’s cheating on you? Katie: Well – he does have this really cute personal assistant. Katie: I sneaked some photos of her with my phone camera at the company party last week. I don’t know – it just seems like they have this connection. La Mom’s Office Politics Tip #1: If you suspect people at the office are having an affair, they are. Trust me, by the time the non-French pick up on it, there’s already an illegitimate love child in the oven. Katie passed the phone around. Hmmm – maybe she was on to something. L’Assistante was young, long-limbed, and glossy. Her shiny dark mane was casually tossed over a bronzed shoulder as she threw back her head and laughed at Bob’s witty remark. Hey, I wouldn’t kick her out of bed for eating crackers. Katie: I guess it’s nothing, though. When I asked Bob about her, he said she wasn’t his type. Wanting to trust your husband is one thing. But believing him when he says that the red-hot French chick “isn’t his type”? 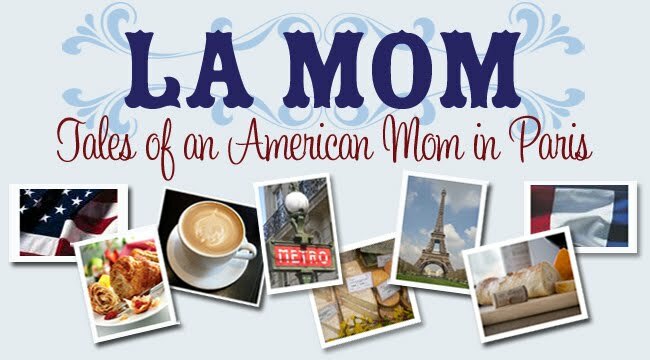 Don't miss any of La Mom's adventures in Paris! Get your French fix delivered directly to your inbox every week when you subscribe in the top-right hand corner.